Ferenc Csutorás is one of the most exciting Eger winemakers. He is a living and breathing wikipedia of Hungarian winemaking and an honest and often critical commentator of his wine region. 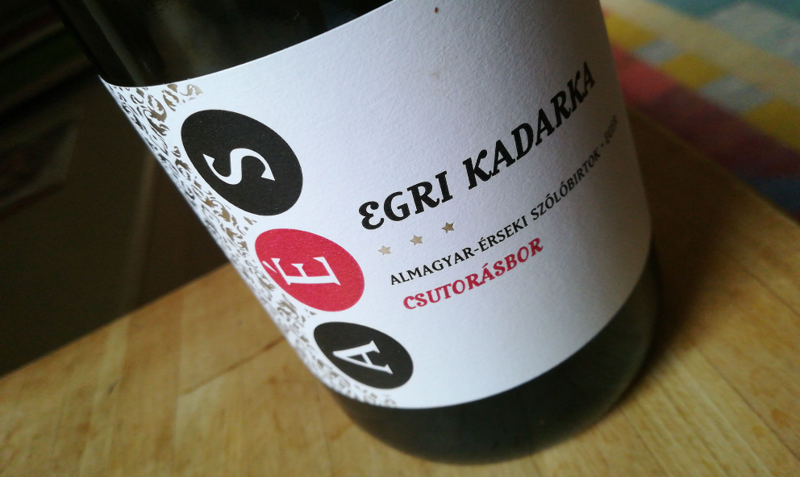 Almagyar-Érseki Vineyards and Winery is a revitalized and expanded successor to the family business, the result of three friends’ joint efforts. (You can find out more about the name here, and about the collaboration of like minds here). Kadarka has always been the forte of the winery. I wonder to what extent is the striking vitality and intensity of the 2017 Superior down to the viticulturist/winemaker, the terroir, the vintage and/or to the fact that it is made from the Ménes clon of kadarka. One thing is for sure, it is miles apart from the generally rather shy and mellow kadarkas I have recently come across. The aromas may be different but otherwise this is a dead ringer for a cru beaujolais. An open, thoroughly transparent wine with crunchy redcurrants and sour cherries on the nose and a bright, juicy mid-weight palate. It’s refreshing and stimulating. Good mid-palate intensity followed by mild tannins and a fairly long finish. An excellent thirst quencher and a great food wine. 5 points, and it’s reasonably priced at 8 euros.